Cognitive thinking is the key to surviving and thriving in the perfect storm of modern technology, according to IBM’s Mac Devine, who presented a National Consortium for Data Science (NCDS) DataBytes Webinar in December. The explosion of digital data means changes in how we work, play, and interact with each other and with the technologies and devices we depend on. Nowhere is that change more apparent than in the than in movement to create smart and interconnected cities. 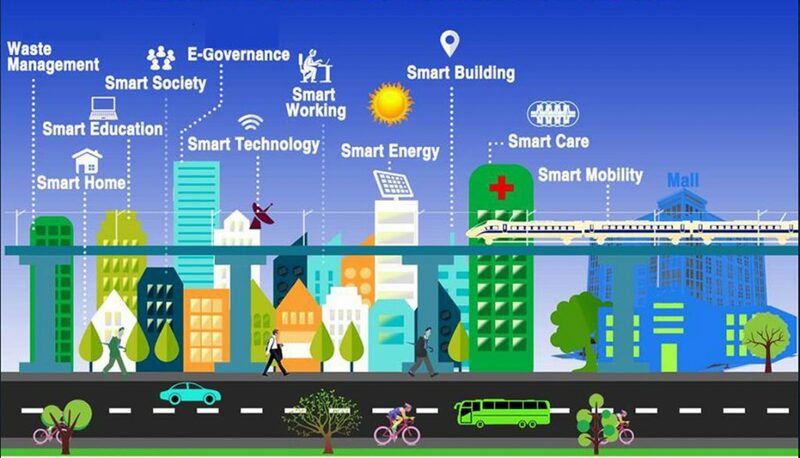 What started as an effort to integrate multiple information and communication technologies with sensors that collect data about transportation systems, power plant usage, water supply networks, and more has evolved into a transformation of urban environments using a data infrastructure that can monitor events, troubleshoot problems, and enable a better quality of life. 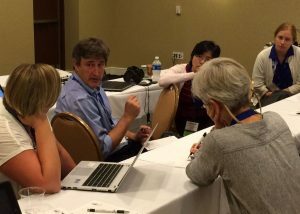 DataBridge, a National Science Foundation-funded project to make research data more discoverable and usable by a wide community of scientists, has the green light to expand its work into the neuroscience community, thanks to a new NSF EAGER award. Biomedical informatics is one of the hottest data science research fields, with scientists publishing hundreds of research papers every year that could impact how patients and doctors access and interact with medical information and the effectiveness of medical treatments. ESIP meeting participants discuss the challenges of a Data Commons at their recent summer meeting in Durham, NC. 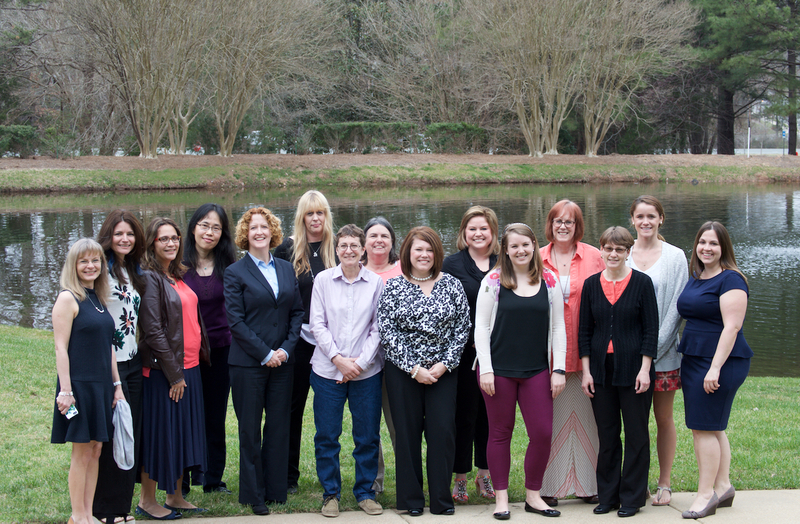 As Women’s History Month draws to a close, RENCI acknowledges the daily hard work of each of its female employees. The research strides occurring at RENCI would not be possible without our female researchers, project coordinators, administrators, and communicators. The next generation of potential computer scientists are making their way to K-12 classrooms each day, but are these young minds being exposed to the fundamentals of computer science? According to Code.org, only one in four American high schools offer computer science courses, and few of those schools allow the course to count toward graduation. 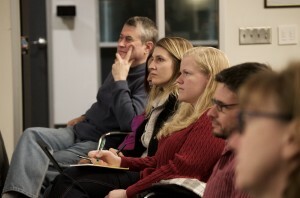 Research Triangle Analysts met at RENCI for their first monthly meeting of the new year on January 19. Research Triangle Analysts meet at RENCI every third month and elsewhere around the Triangle during other months. The group, a 501(c)(3) non-profit and all-volunteer organization, promotes the advancement of data science throughout the Triangle’s collaborative communities of analysts, mathematicians, statisticians, and scientists. Research Triangle Analysts participants learn about topological data analysis at RENCI. 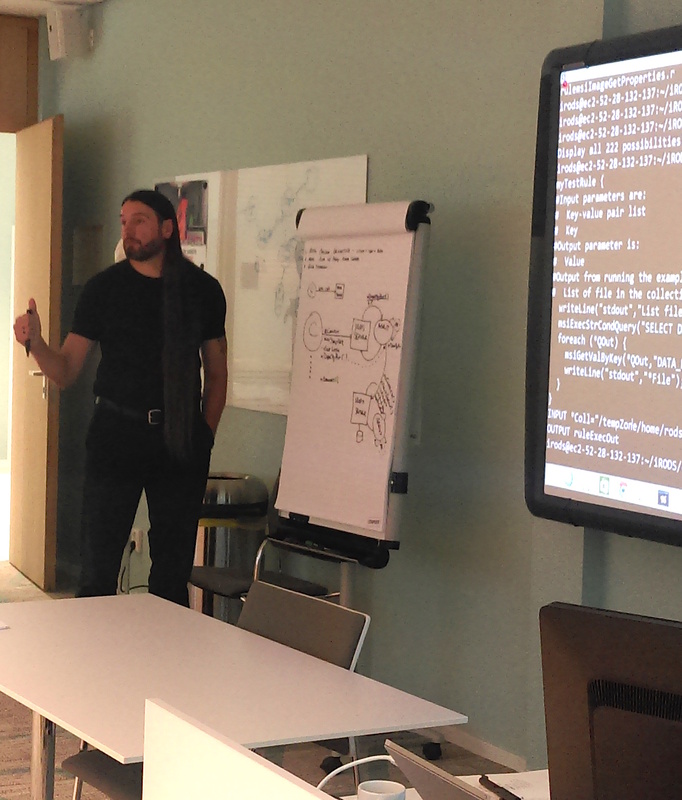 iRODS Chief Technologist Jason Coposky offers guidance to iRODS users at the University of Utrecht. The iRODS data management platform and the iRODS Consortium that works to sustain it are making waves well beyond their home base in Chapel Hill, NC. Professors at NC State University and UNC-Chapel Hill have access to a tool that can bring both excitement and exploration into their curriculum – the Social Computing Room (SCR). While the resource is available on both campuses, educators can be unsure about how it effectively fits into their course plans. NC State’s Coffee and Viz series hopes to provide ideas for instructors of all disciplines by highlighting those already using SCRs and other visualization spaces and by providing speakers with novel ideas for the use of visualization in education and research.